There is something really satisfying about making (and eating) your own buns, especially these molten lava buns. 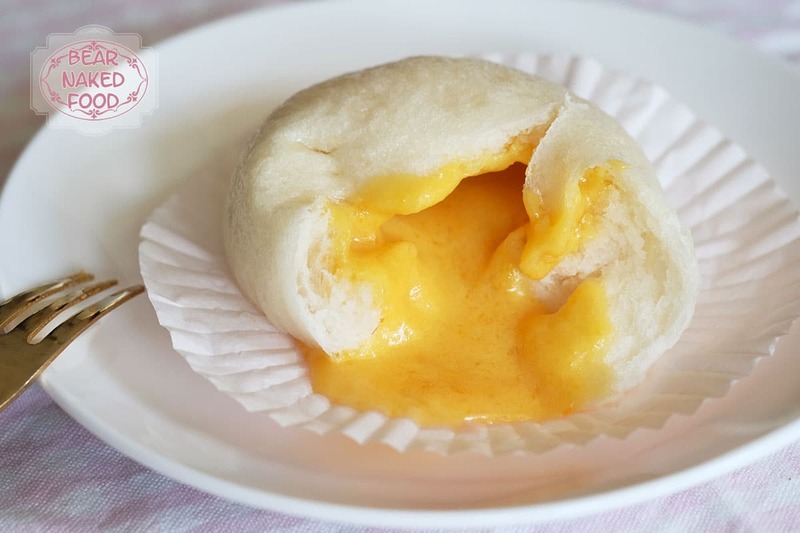 The “molten lava” is none other than the ever popular salted egg yolk custard filling. 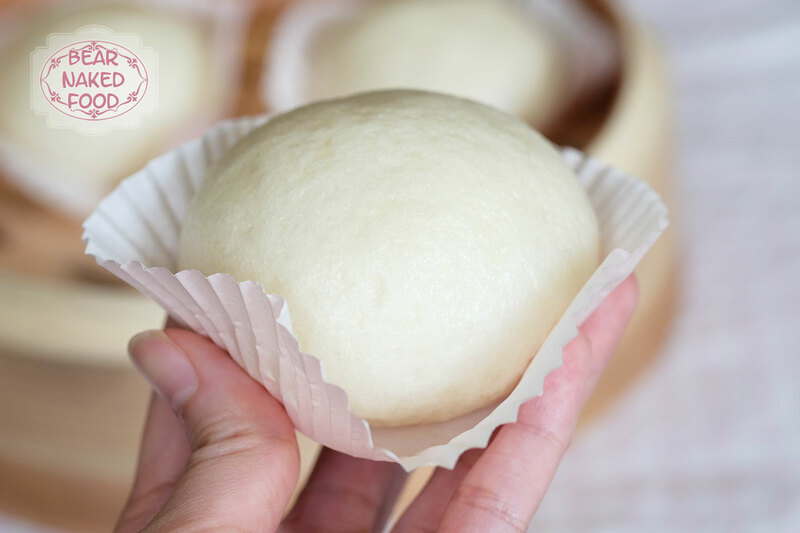 I had a fun time making the step-by-step video below, especially the part where I get to pry open the buns to reveal the filling inside. Also, I made a new friend that day called Calories. 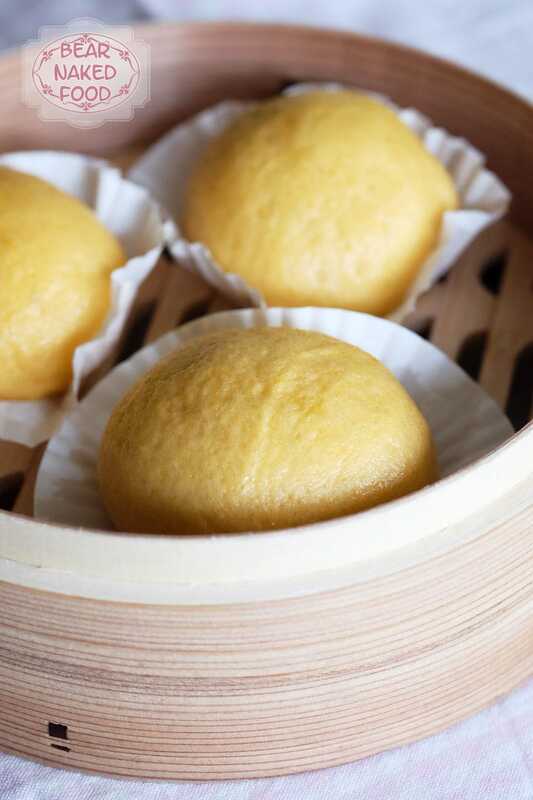 The last time I ate these fluffy buns were with my bestie at Crystal Jade Kitchen couple months ago. 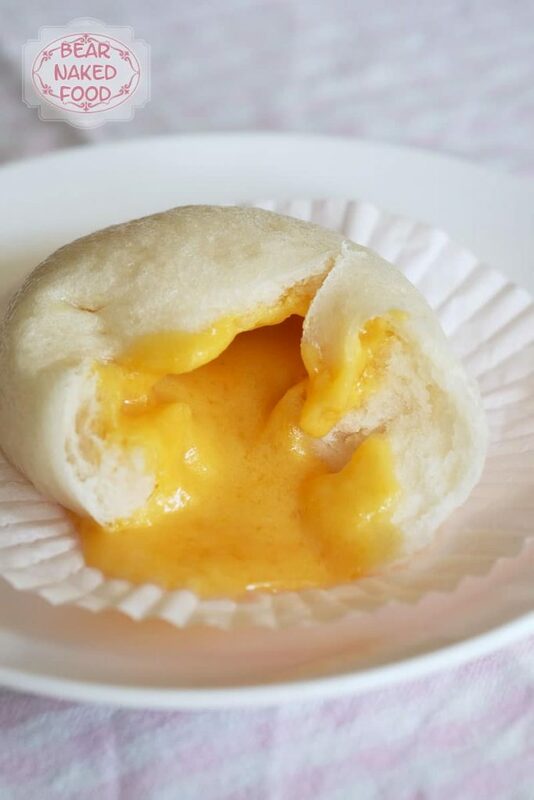 Unlike the traditional snow-skinned buns served in most Dim Sum restaurants, theirs had an orange-y hue. That visit totally inspired me to recreate them in my kitchen. I mimicked the color on another batch with the addition of pumpkin and I think it worked! With or without the pumpkin, I’m totally loving both versions. I prepared the salted egg custard the day before as they need to be chilled in the freezer overnight before filling them in the dough. 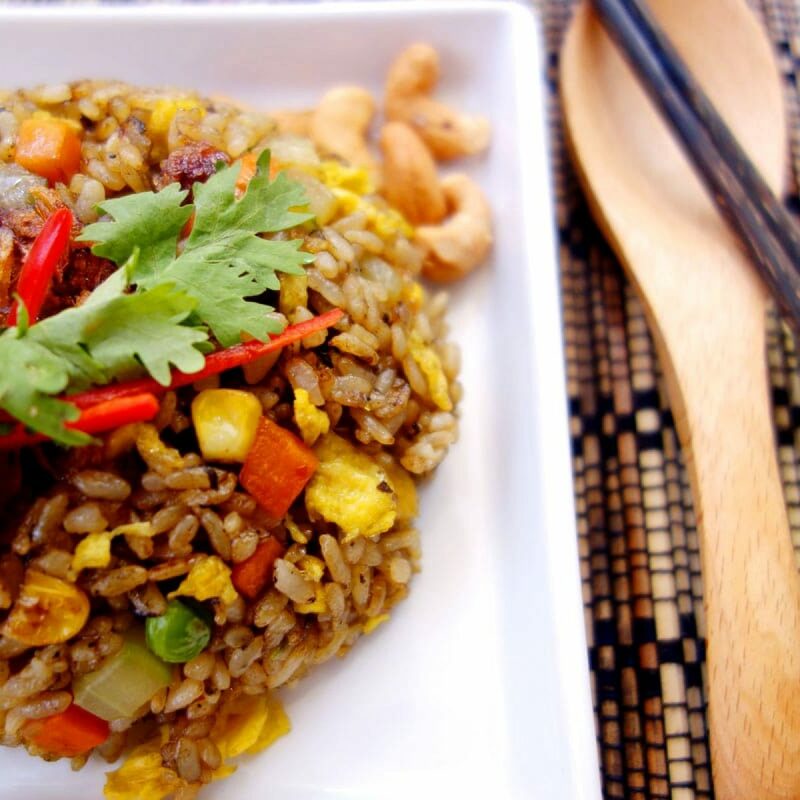 You could definitely prepare them few days in advance and keep them frozen until ready to use. 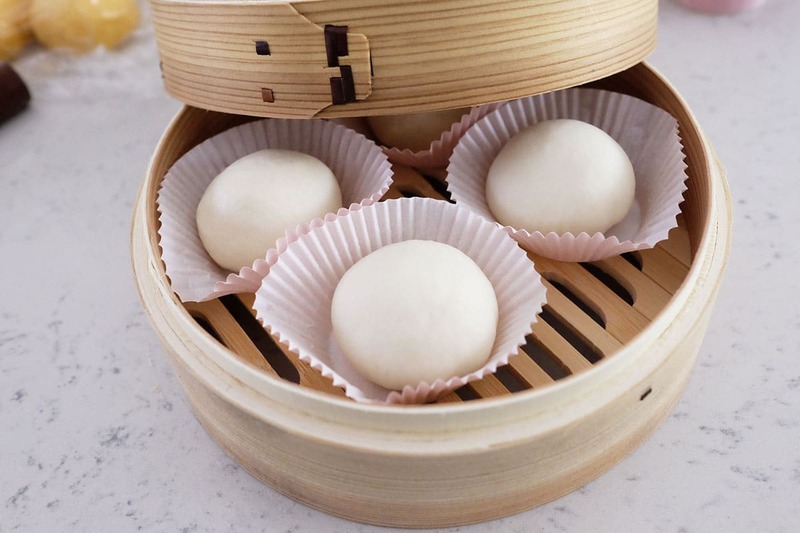 You could make them into bigger or smaller sizes, just take note the ratio of the bun to filling is 2:1. 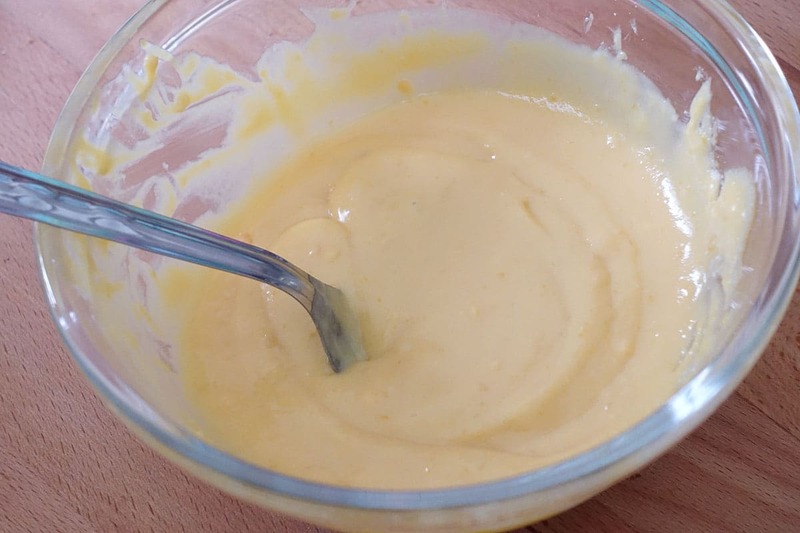 Example: 40 g dough:20 g custard. 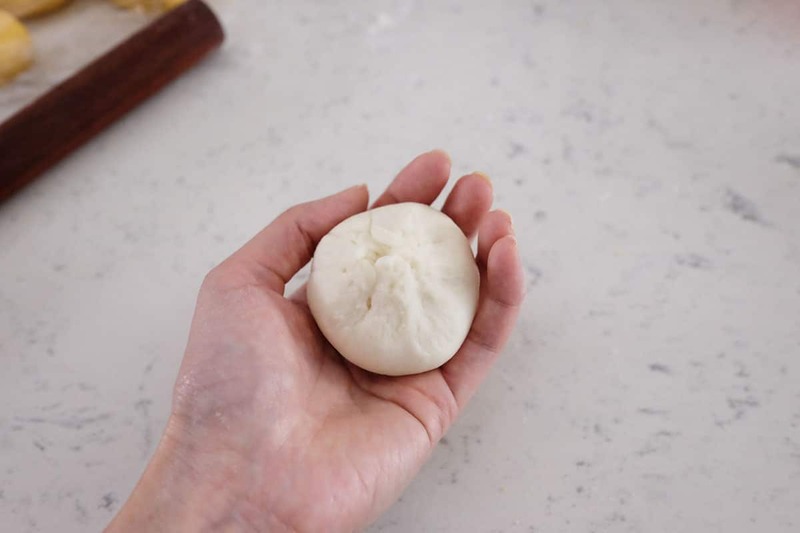 This recipe makes 12 x 40 g buns. 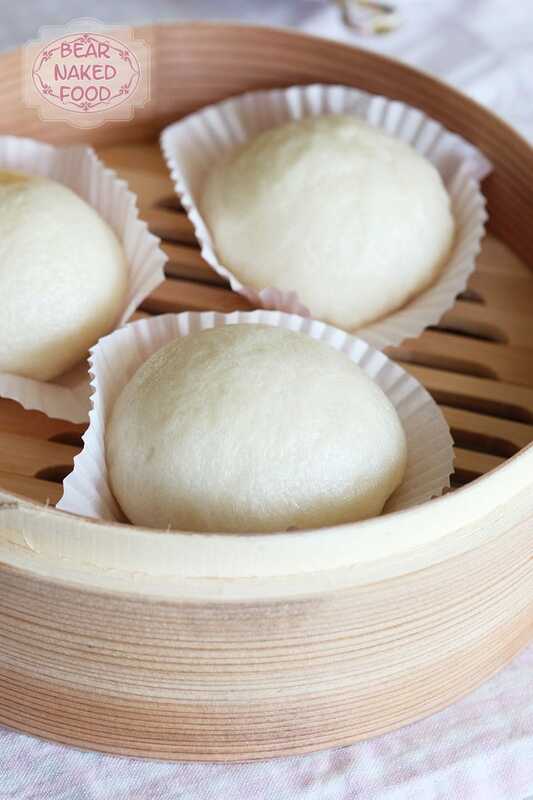 If you ask me, these buns are pretty good enough to pass off as a satisfying homemade product. 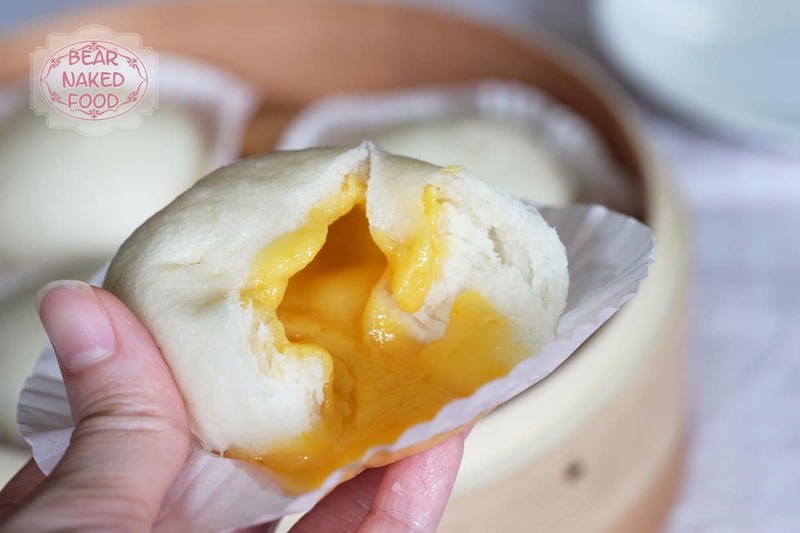 Even without the use of emulsifier (the agent responsible for producing soft, fluffy texture from commercial buns), they stayed relatively soft even when cooled. 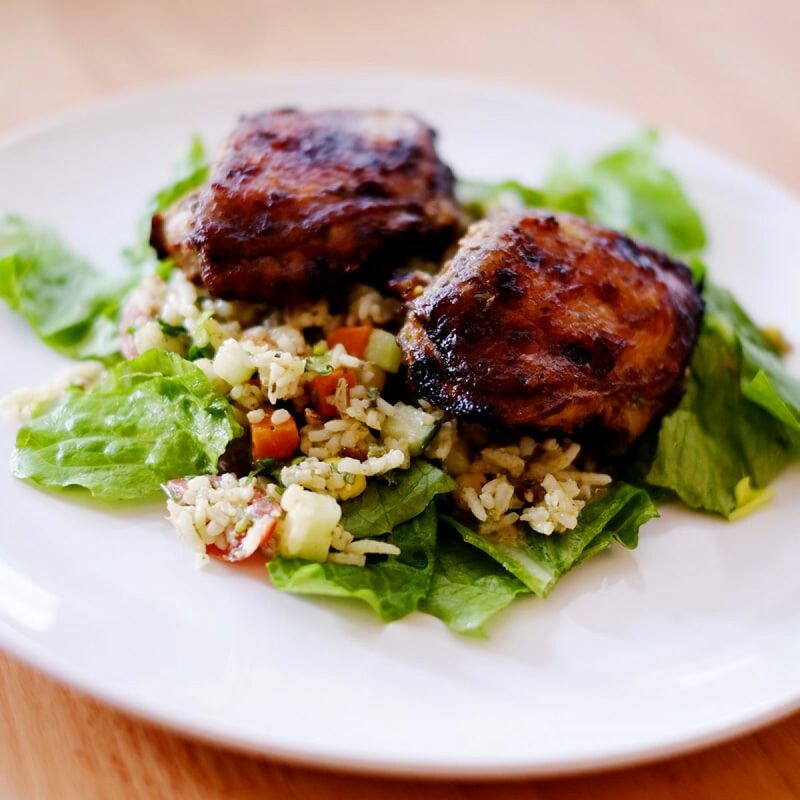 You could store them in the fridge or freezer (for longer period) and simply steam them again before consumption. 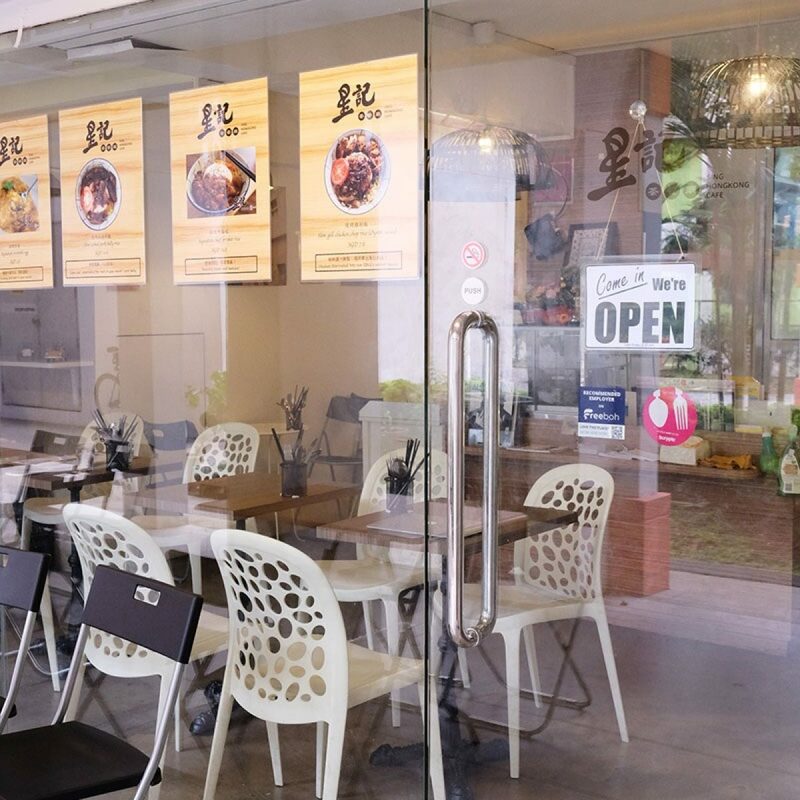 The line up for buns. The line up for custard. 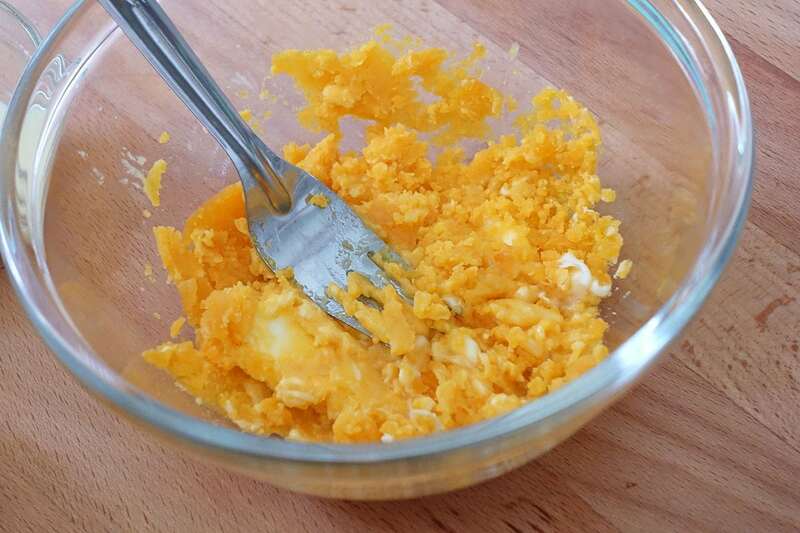 Prepare the custard but separating the salted egg yolks from the whites. Rinse them gently under running water. 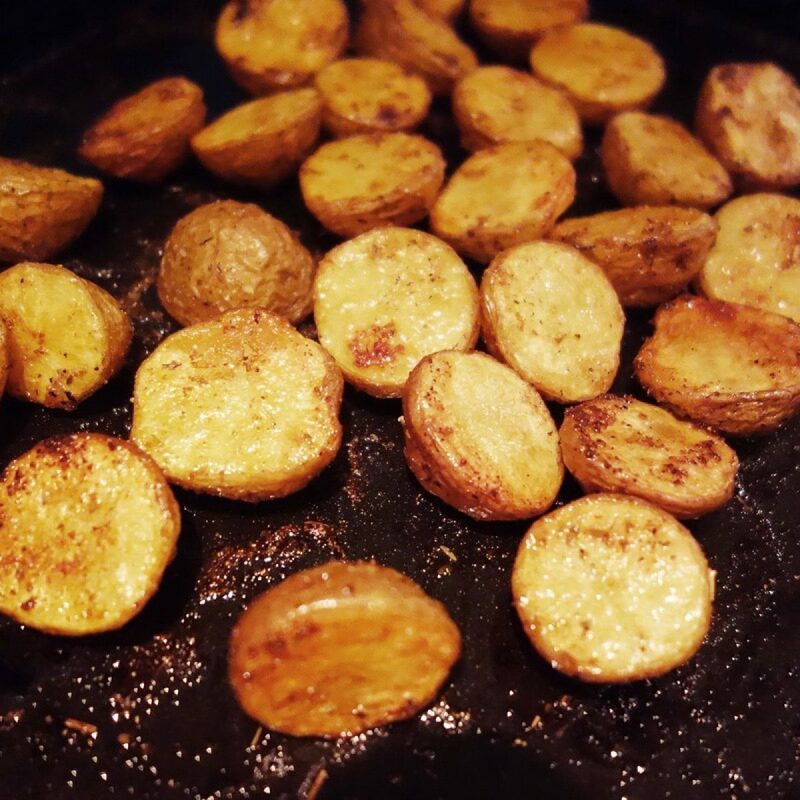 Place them in a heatproof bowl and steam over high heat for 10 mins. 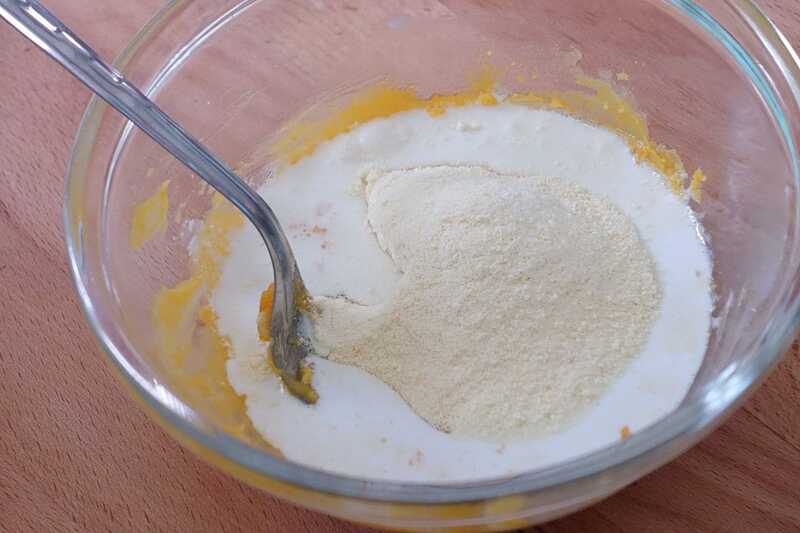 When they are slightly cooled, add in butter, condensed milk and milk powder. Mix until smooth. If you prefer the custard to be sweeter, adjust with more condensed milk. Place them in the refrigerator to chill until firm. Mine took about 45 mins in the fridge. 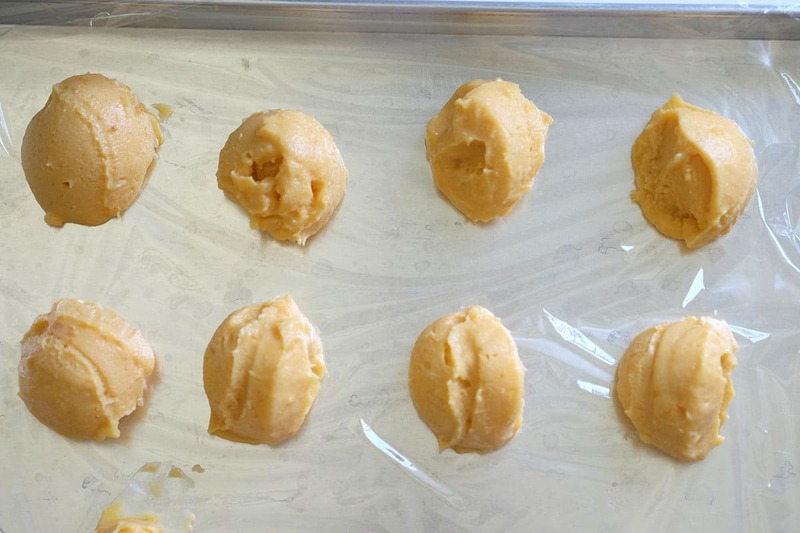 Take them out and use a spoon or ice cream scoop and divide into 20 – 22 g each. 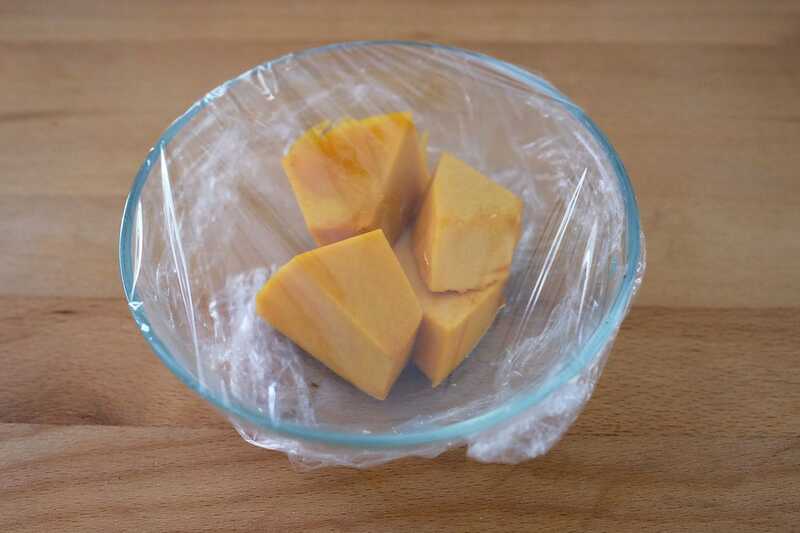 Place on a baking tray lined with cling wrap and cover with another layer of cling wrap. 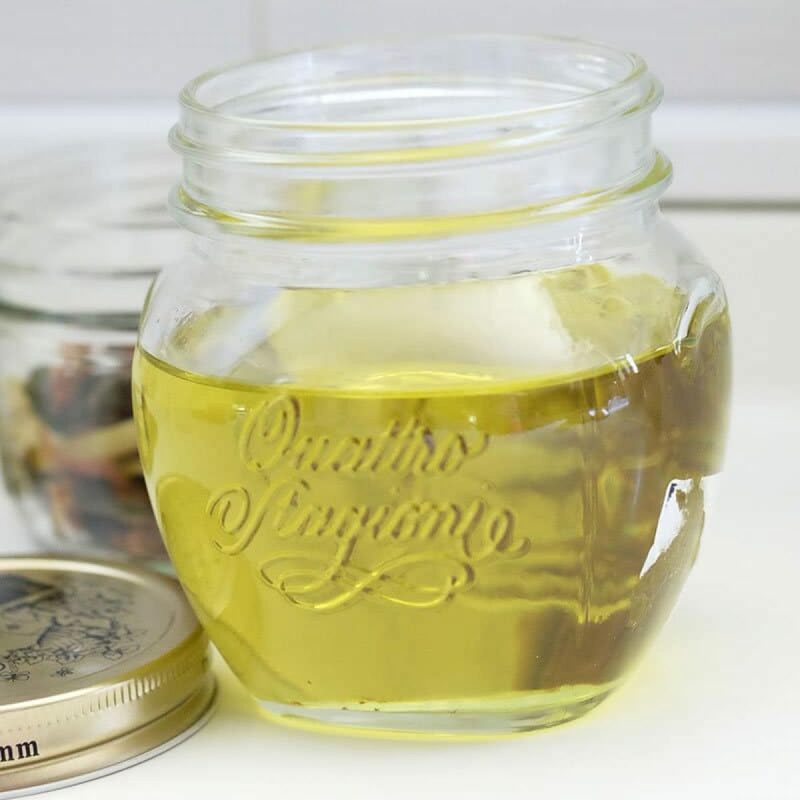 Freeze until hard for at least 6 hours or preferably overnight. 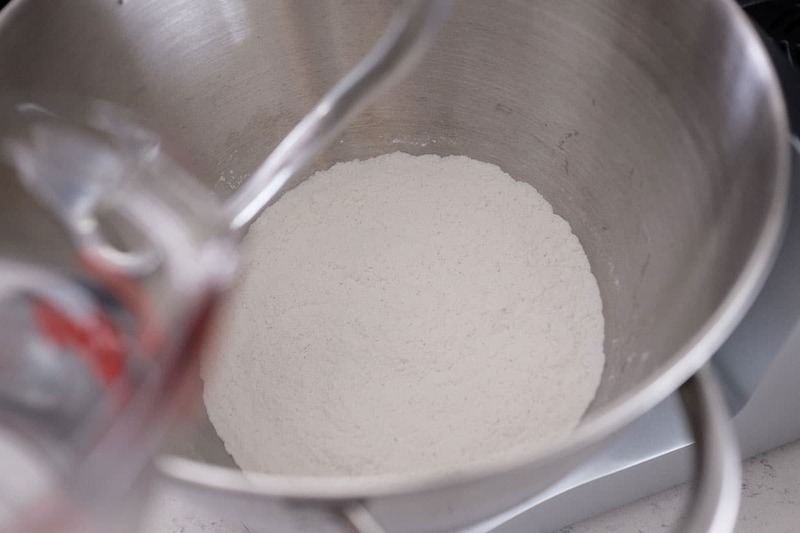 In a large bowl, add the flour, baking powder, sugar, yeast and whisk together. Add in water, vegetable oil and using an electric hand mixer or stand mixer, mix until a dough ball is formed, approx. 10 mins. It should be smooth and elastic. Alternatively, you could knead with your hands too and that will take about 15 – 20 mins. 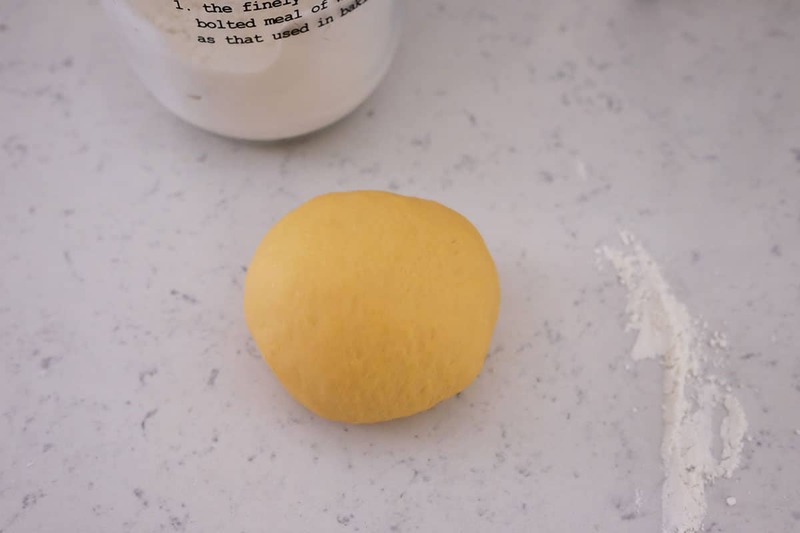 Dust the counter lightly with some flour and take the dough out from the mixer. Knead it lightly for another minute until smooth and not sticky. 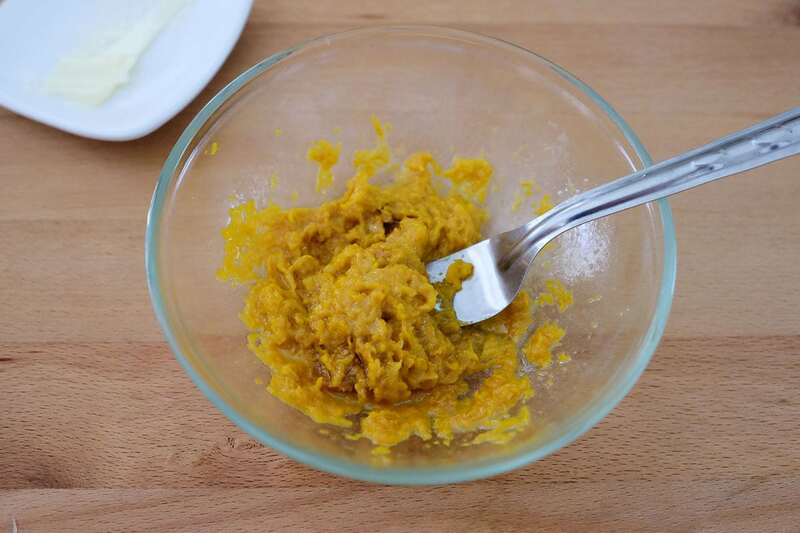 *If you are making pumpkin version, add in pumpkin butter mixture during the mixing process. I cooked the pumpkin in the microwave for 10 mins. 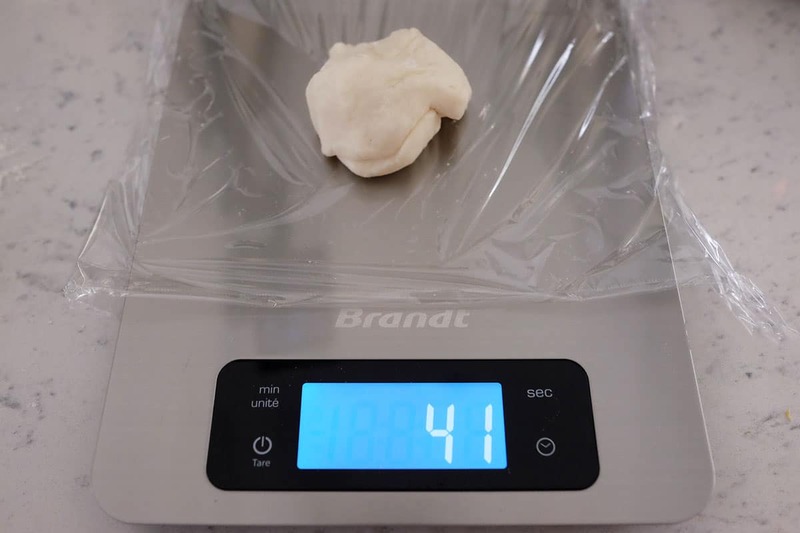 Shape dough into a ball and place it in a large bowl greased with a little oil. Cover with cling wrap and let it rise at room temperature for 30 mins. I like to leave it in my oven or microwave. 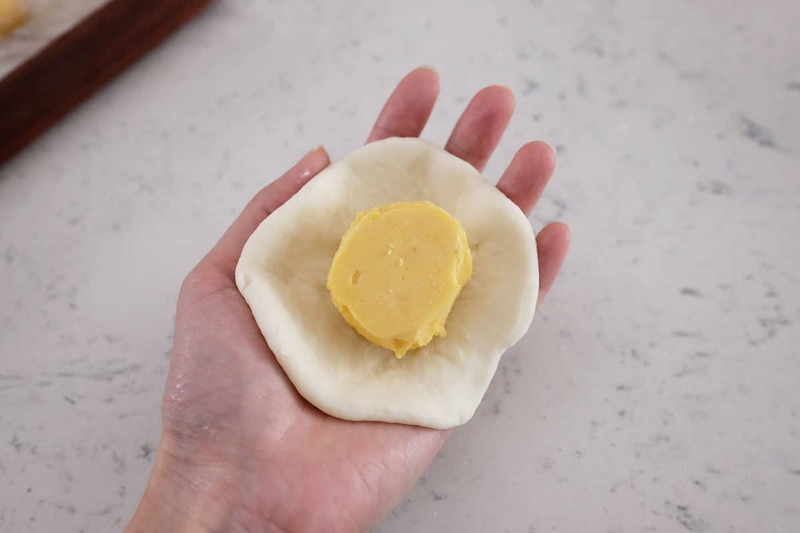 Use a finger and poke into the dough. It should create an indentation without bouncing back. Press down the dough to release the air and take it out from the bowl and gently knead into a log shape. 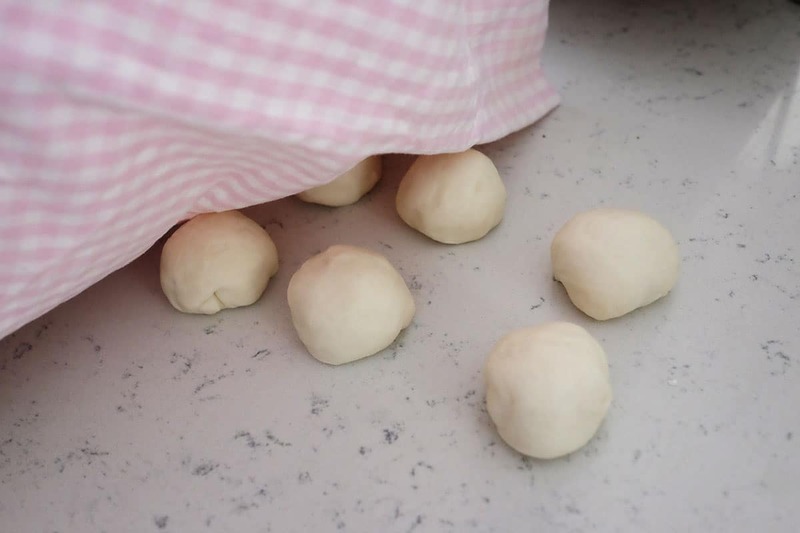 Divide dough into 12 portions, 40 g each. 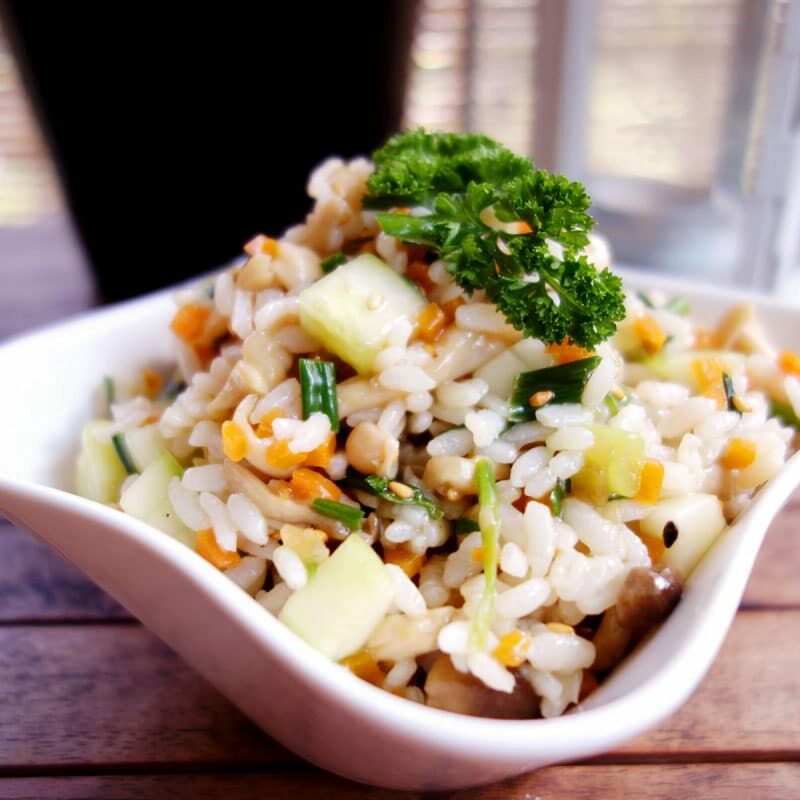 Use a weighing scale. 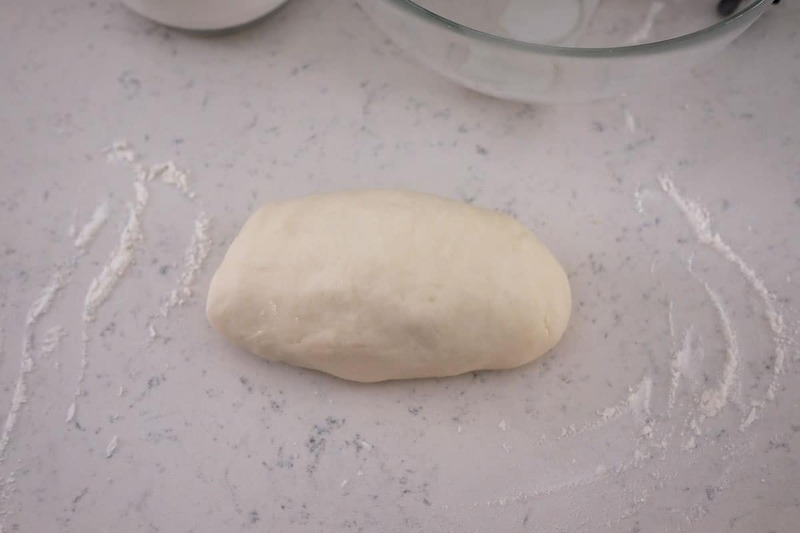 Shape the dough into balls and place them on the counter with some space in between each other. Cover with a damp cloth and let them rise for another 5 – 10 mins. Take the frozen custard out from the freezer. 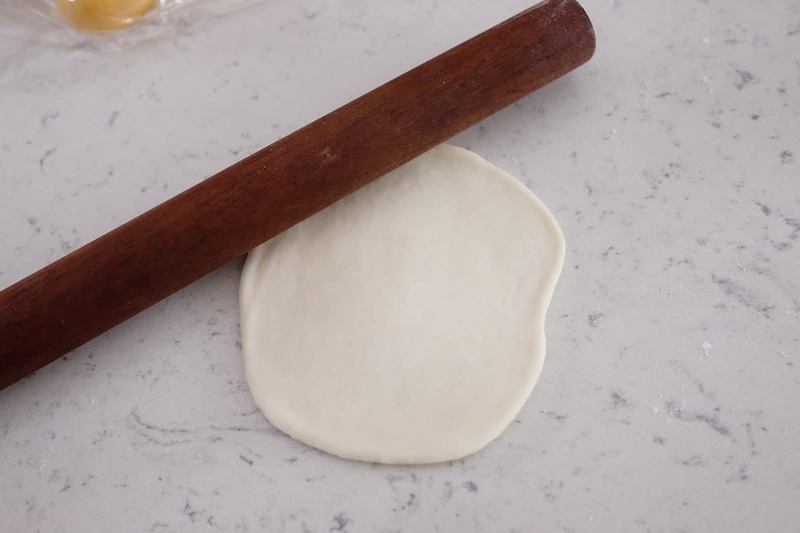 Use a rolling pin and flatten each the dough into flat disc, the edges should be thinner than the centre. 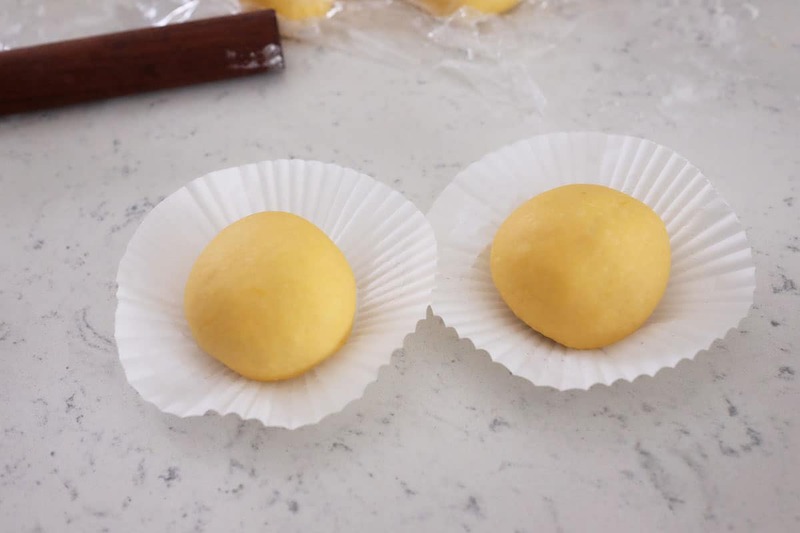 Put one custard in the centre of the dough and wrap it. Pinch the edges well so the filling will not leak during steaming. 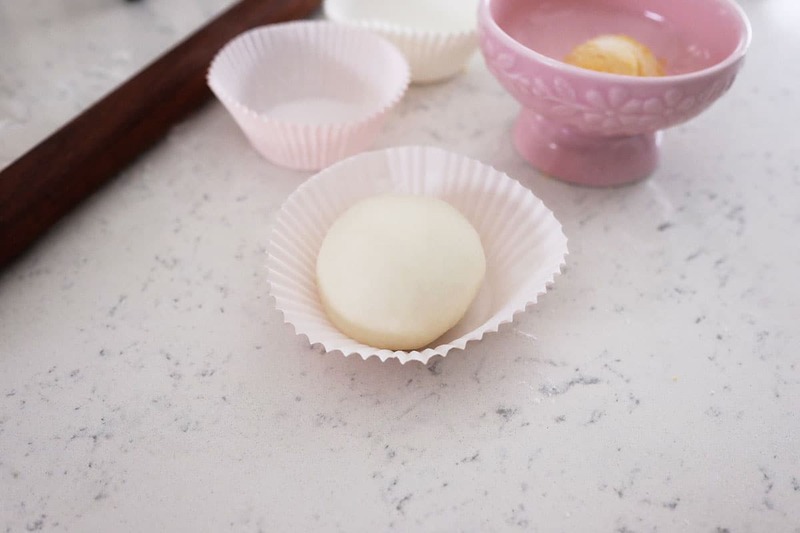 Put the dough onto a piece of paper or cupcake liner. 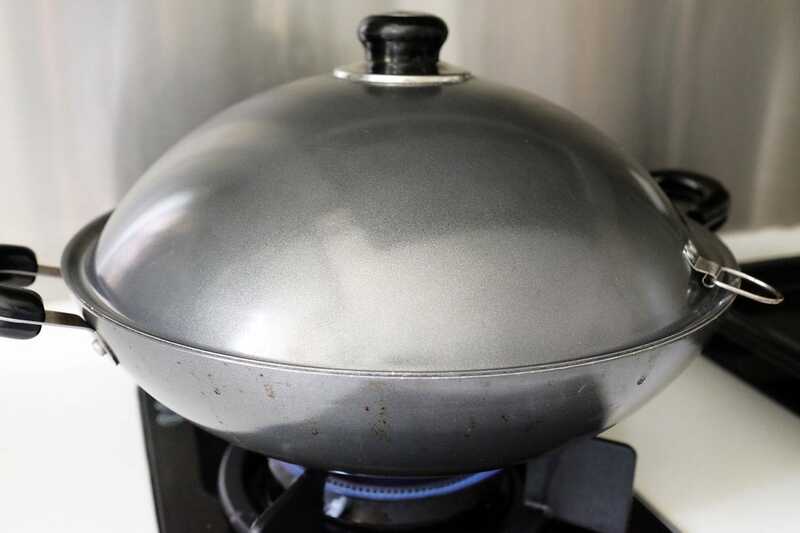 Steam them over high heat for 10 mins. *Do not steam them for too long or the filling will explode. 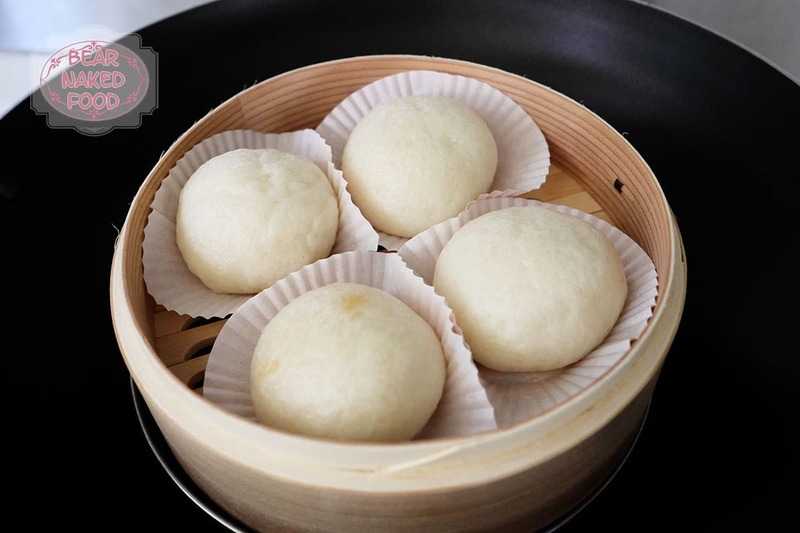 Do not open the lid while steaming or the buns will collapse. 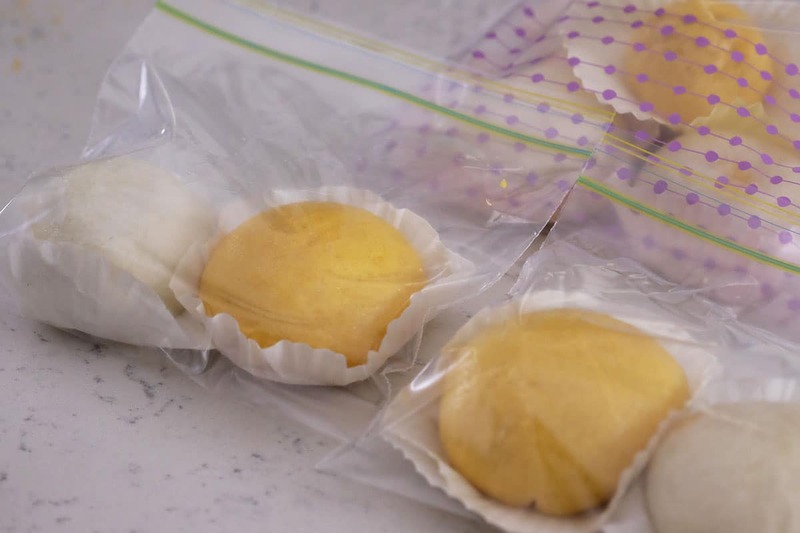 To store the buns, allow them to cool completely before wrapping them with cling wrap and place into a Ziploc bag. 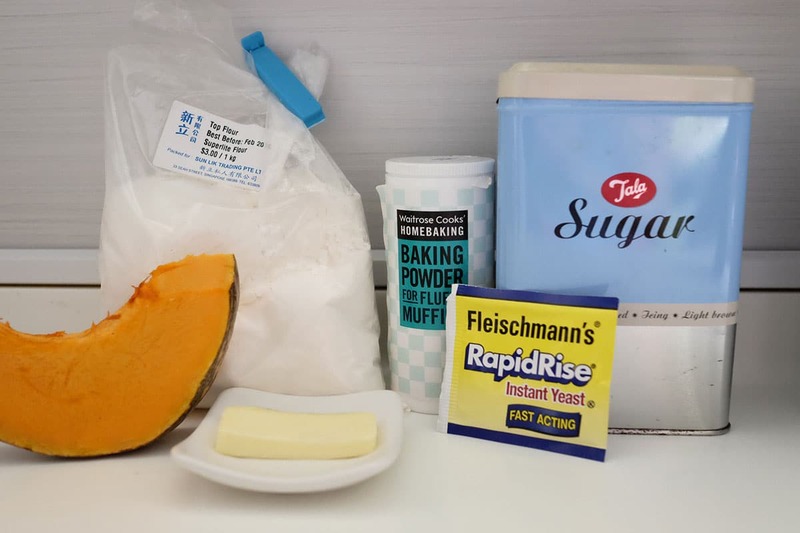 Place in freezer for up to 3 months. 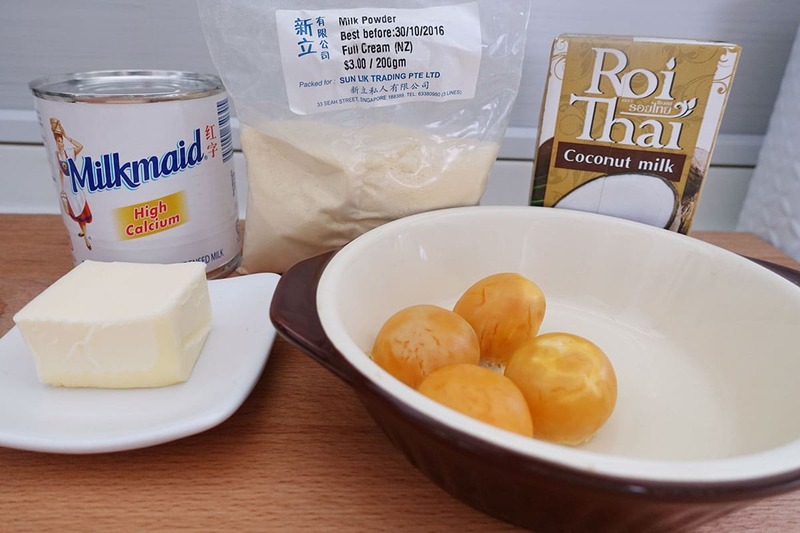 When they are slightly cooled, add in butter, condensed milk and milk powder. Mix until smooth. If you prefer the custard to be sweeter, adjust with more condensed milk. 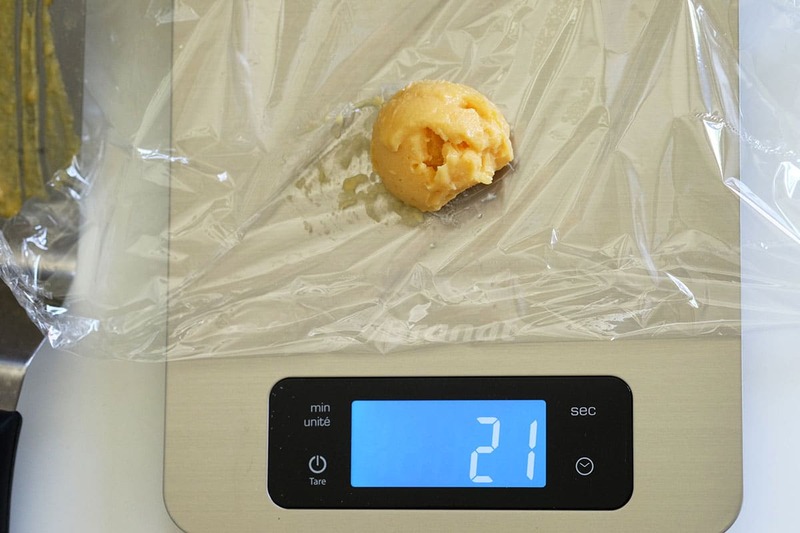 Take them out and use a spoon or ice cream scoop and divide into 20 - 22 g each. 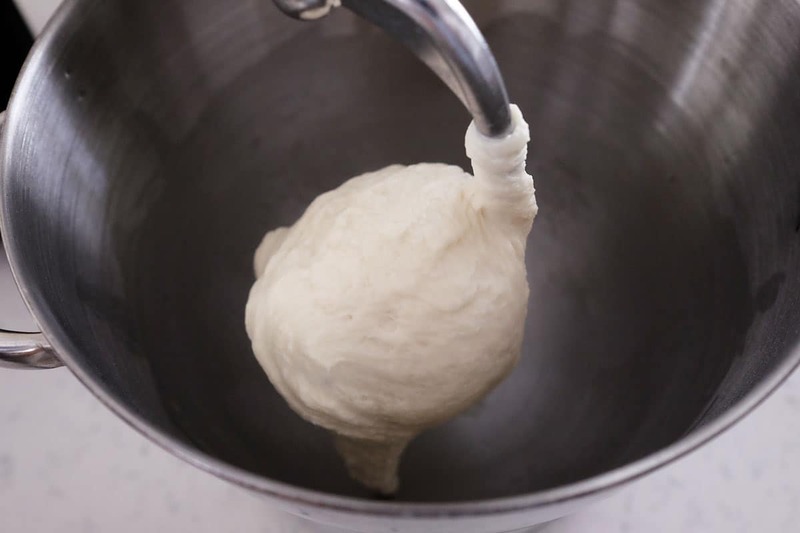 Add in water, vegetable oil and using an electric hand mixer or stand mixer, mix until a dough ball is formed, approx. 10 mins. It should be smooth and elastic. Alternatively, you could knead with your hands too and that will take about 15 – 20 mins. 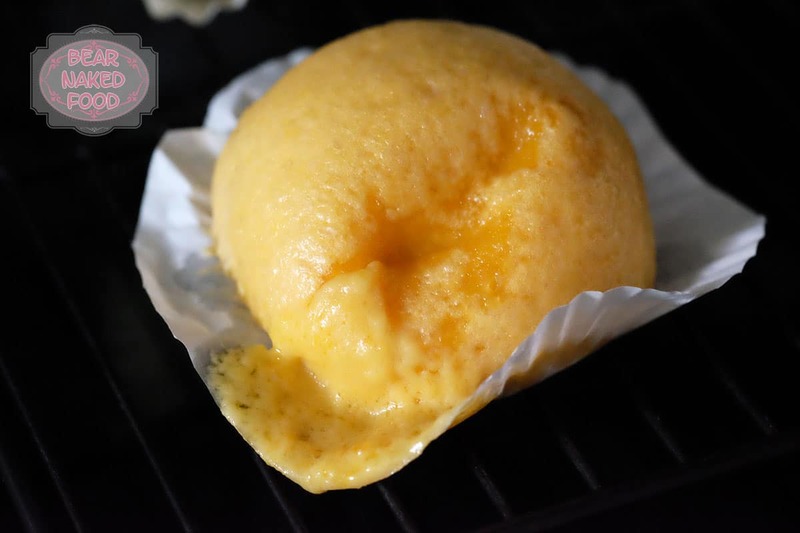 Put one custard in the centre of the dough and wrap it. Pinch the edges well so the filling will not leak during steaming.